Realme today launched the Realme 2 Pro and Realme C1 smartphone in India. Realme C1 is budget smartphone It has a Notch Display and 4230mAh Battery. It has a 6.2-inch HD+ 19:9 aspect ratio display with a notch powered by 1.8GHz Octa-Core Snapdragon 450 processor coupled with 2GB RAM with 16GB Storage which is further expandable up to 256GB. 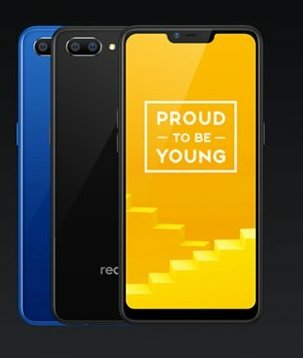 Realme C1 is priced at Rs 6,999 first Sale on October 11 On Flipkart.